I missed this meme last week during my sleep-deprived, still-recovering-from-the-awesome-DC-trip-fatigue break from blogging. There hasn't been much progress reading-wise though. The Four Ms. Bradwells by Meg Waite Clayton: A delightful book that ended up surprising me. Slow Death by Rubber Duck by Rick Smith and Bruce Lourie: I'm so glad I read this. There's just so much I learned even if much of it was scary! Miss Entropia and the Adam Bomb by George Rabasa: Before I finished this book, I was going to say hilarious, but in the end it was anything but. What a look into the mind of a disturbed guy! 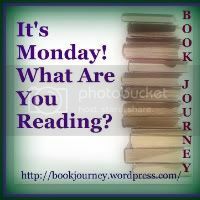 Coraline by Neil Gaiman: I read this because I was just plain curious about this book. Now I don't have to abashedly admit that I haven't read it. What can we do to detox ourselves? I have at least 7 new titles to review this month. I'm not sure how I can handle that many review titles, except by reading each description and ooh-ing over each one. A Thread of Sky by Deanna Fei: I love books that focus on women and tell the story from their varied perspectives. This is another one of those and I can't wait to read it. 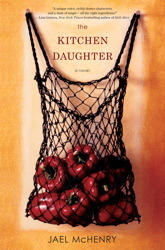 The Kitchen Daughter by Jael McHency: This is another one of those books that look to be outside my usual reading zone, so I'm hoping to be surprised by it. I hadn't even heard of this one until I got it in the mail. 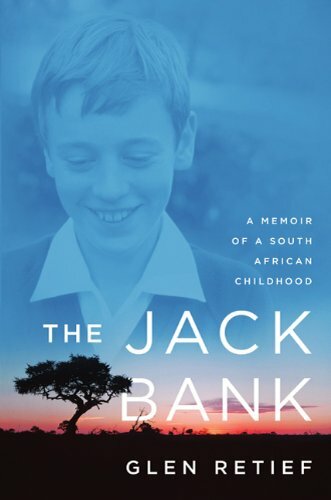 The Jack Bank by Glen Retief: The last I read about anything about or set in the Apartheid period in South Africa was in high school. So when I saw this one, I just had to read it. Besides, the synopsis sounds so enticing that I may just be picking this one first to read between these three. I like the title - " Miss Entropia and the Adam Bomb ". I haven't read anything by Neil Gaiman ; I am curious about his books too. The Kitchen Daughter looks really good to me! I'm anxious to get my hands on it. A book about Apartheid in South Africa will surely be really interesting. And, I'll confess I've never read a Neil Gaiman... how have I let that happen? I'm curious about A Thread of Sky...I'll be waiting for your review. It definitely sounds good right? I can't wait to find out more. You should pick a Gaiman book! I have a couple more of his on my shelves, but I don't know if I'll get to them now. I'm curious about it too! I just picked the book last night for a first glance and it is big! SO many good books! I am am excited fro the Meg Waite Clayton book... I loved her first one. I am very curious about KD. I have heard great things about A Thread of Sky and look forward to hearing what your thoughts are. Please feel free to come over to my blog and have a read. Let me know what you think! Me too. Everyone's comments today have increased my curiosity. I can't wait to read THE WEDNESDAY SISTERS! I've heard so much about it! I haven't read Coraline yet, so you weren't the only one, but I did see the movie. I just started A Thread of Sky and it's so great! I'm curious about the movie too. I thought they had a non-animation movie out too, but seems not. Still, I'm not one to complain.